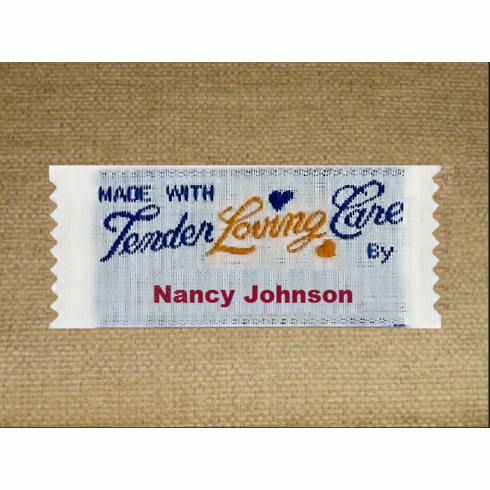 "Made with Tender Loving Care, by:(the name you put here)" is the message shown on label #51. Personalize this heartfelt reminder of your unique handmade needlework. Label 7/8" x 2 1/4" or 22 mm x 57 mm.